If you’ve ever been inside of a punk house, it’s the ultimate menagerie of memories and mess. 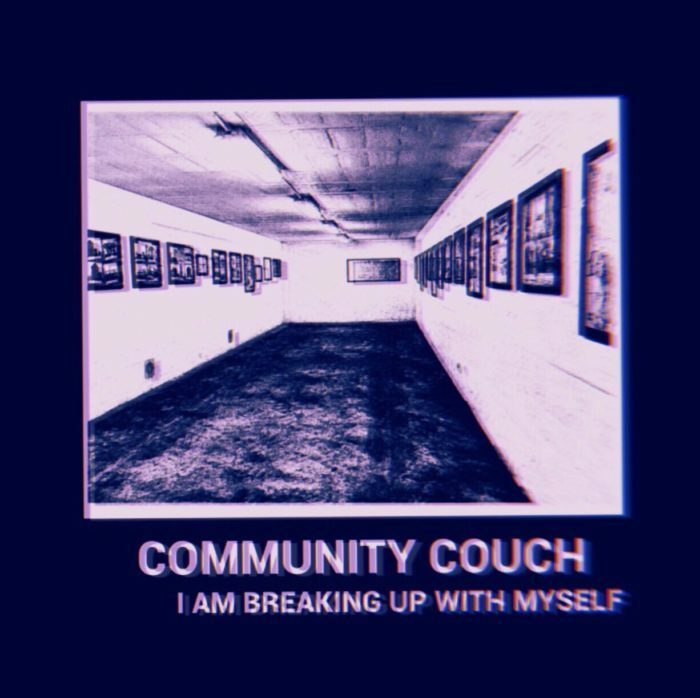 Community Couch’s new single, “HO1KG,” captures the essence and heart of a fluctuating, heated, beautiful shared space while inviting listeners to step inside their debut record, I’m Breaking Up With Myself. The St. Petersburg, Florida three piece of Stove Johnson, Glen Maritinetto, and Eli Lopez wrote their finest memories of their “gay house” and set it to a contagiously energetic beat. Each lyric expands the picture, from the cans of Rolling Rock to the bags of Doritos piled together for a haphazard potluck. Every lyric pours color and life into a punk rock haven that feels tangible. Community Couch songwriting blends folk rock storytelling with the energy of a punk band, exploring the struggles of inclusivity within the queer community at a local Pride festival to memories of a broken heart. “HO1KG” is a chapter from the collection. With “HO1KG,” Community Couch reveals some of its most precious intimacy. The song features Bomb the Music Industry!-like pacing as Johnson rattles off each friend’s name and their associated memory, encapsulating an entire year within a few lines of lyrics. Dotted with a ukulele and bass with voices of their own, Community Couch’s sound boasts a robust flavor. “HO1KG” is the equivalent of scrolling through Facebook memories (or a photo album, if you’re old like me), and pausing on each goofy photo throughout. The faces are familiar, the antics even more familiar with each listen. Choosing to leave every person and memory in the song as open and real was intentional, Johnson said. It’s Community Couch’s invitation to come closer and be a part of their living room. Whether they are coming of age or coming closer to it, Community Couch is waxes memories, from buzzed porch nights to the layers of streamers leftover from birthdays past. “But dammit if I don’t miss it / and what it did for me” reflects their bittersweet reflection for communal living; “But dammit I might just die here/ if I die with my friends/Well that’s okay with me” looks ahead. If “HO1KG” is any indication for the energy and rapport packed into Community Couch’s debut record, it may be the most warm and welcoming release of 2018. I’m Breaking Up With Myself is available Friday, September 14. 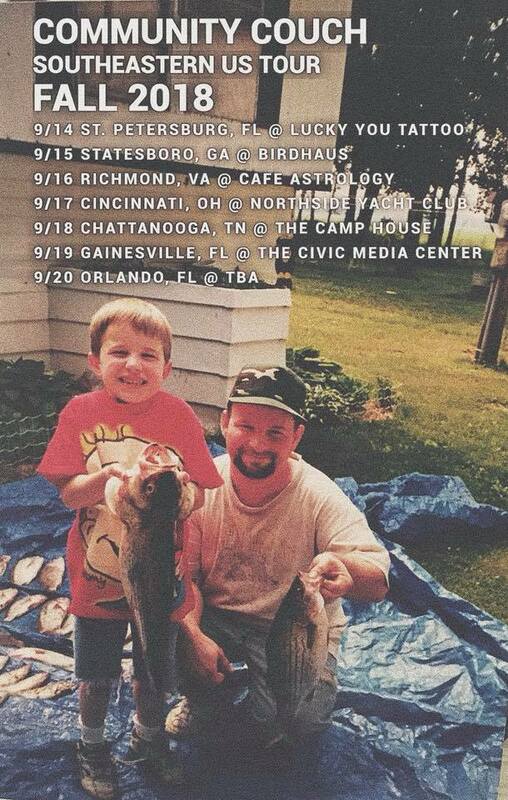 CDs and tapes will be available on their Southeast tour. Check out dates below.